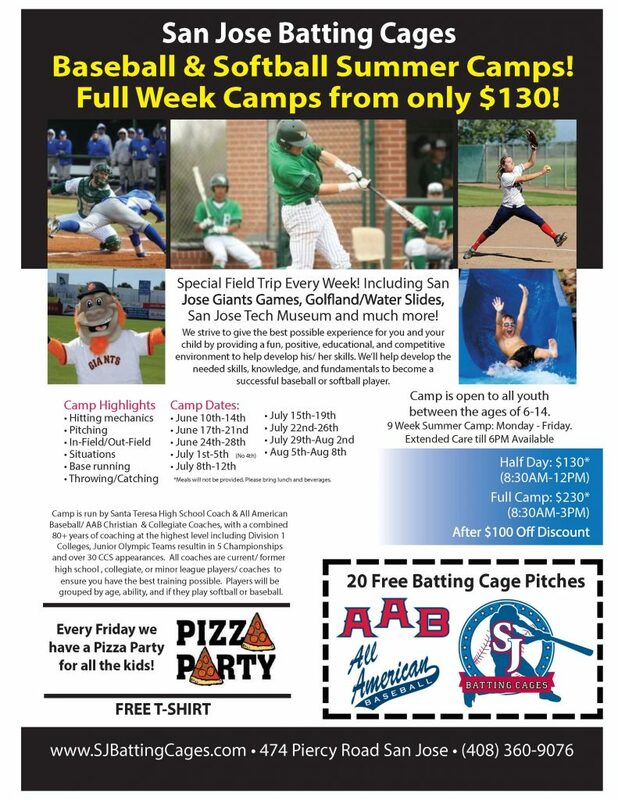 SUMMER BASEBALL & SOFTBALL CAMPS! **Extended Day Care till 6PM Available! *Best Camps & value around! *Free T-Shirt & Pizza Party on Fridays! *Camp is open to all youth between the ages of 6-14.